Airport Analytics (AA+) is an analytics and reporting solution designed to fulfil all the information needs of Airport industry. The solution is technology agnostic and works seamlessly with all leading platforms like SAP, Oracle, Pentaho, Microsoft and so on. 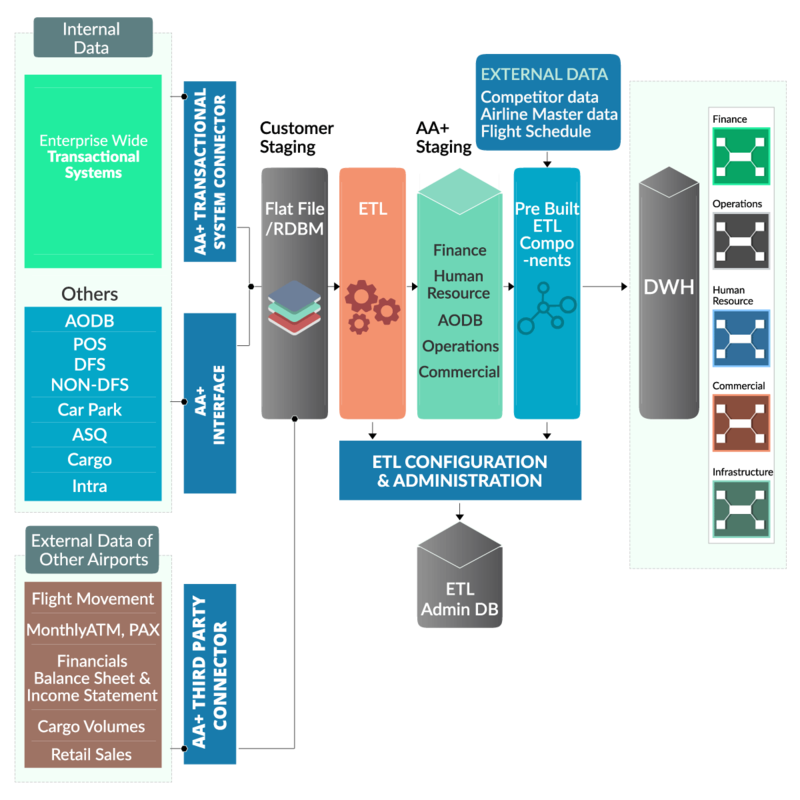 Airport Analytics (AA+) solution comprises airport-specific enterprise data warehouse and business intelligence suite, incorporating an integrated stack of sophisticated components like score-carding, dash boarding, ad-hoc analysis, actionable reporting, advanced analytics with data mining engines and data integration. While deploying Airport Analytics (AA+), there are a number of options. It is necessary to make sure that right choices are made for deployment in order to meet requirements, such as, is the system easily maintained, is it resilient, is it secure, does it support planned user base and can it be easily expanded to accommodate additional users. Clearly 3 different deployment modes emerge whereby the Airport Analytics (AA+) system can be deployed across different numbers of physical servers for different type of environments like Development, UAT and Production.